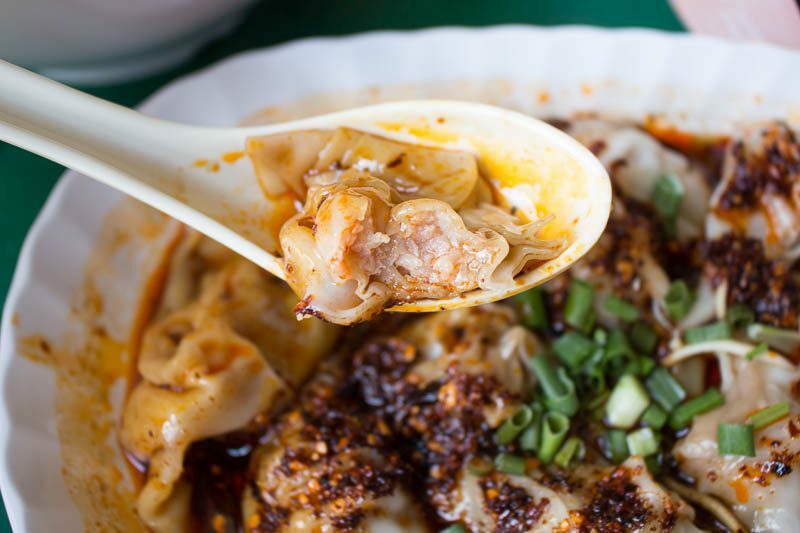 If I ever had to only have one food item for the rest of my life, dumplings rank pretty high up on the list. 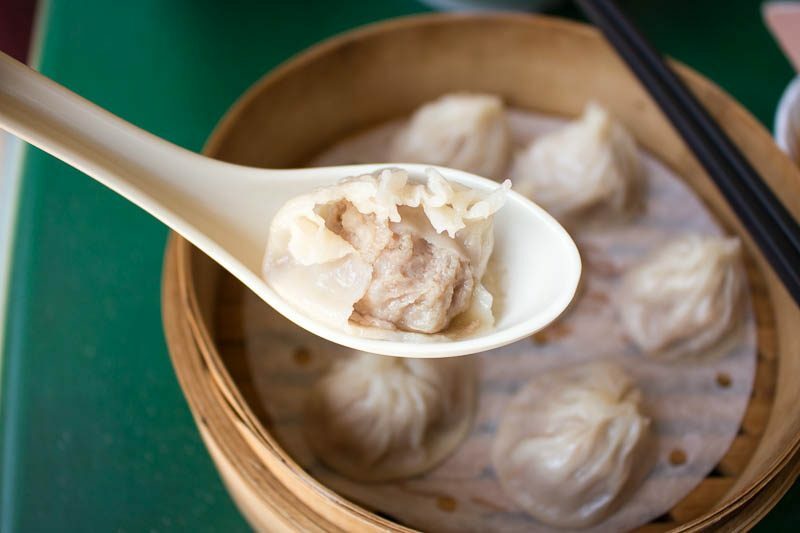 However, the more popular dumpling places tend to be established chain stores such as Din Tai Fung and Paradise Dynasty. Don’t get me wrong, they do them really well. But sometimes, the above-average price tag just isn’t justifiable for frequent consumption. With that, I decided to venture out and try dumplings from hawker stalls. That was when I found this gem, Ah Wang La Mian Xiao Long Bao located at Zion Road. Granted, Zion Riverside Food Centre is not the most convenient but it is definitely worth it if you are in the area. I was contemplating whether to share this personal favourite of mine, as they already have a long queue of customers without any marketing (that I’m aware of). This really highlights the quality of the food that. 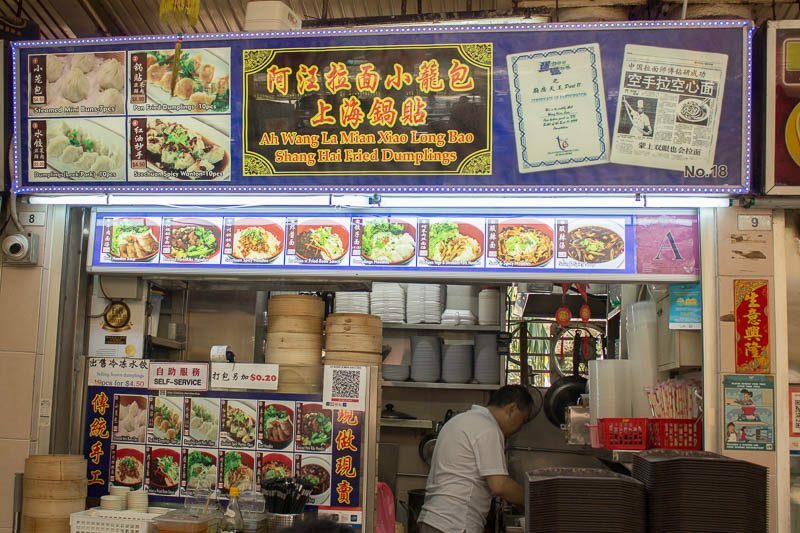 Ah Wang, who hails from China with his family, is the owner of the stall hence the name. 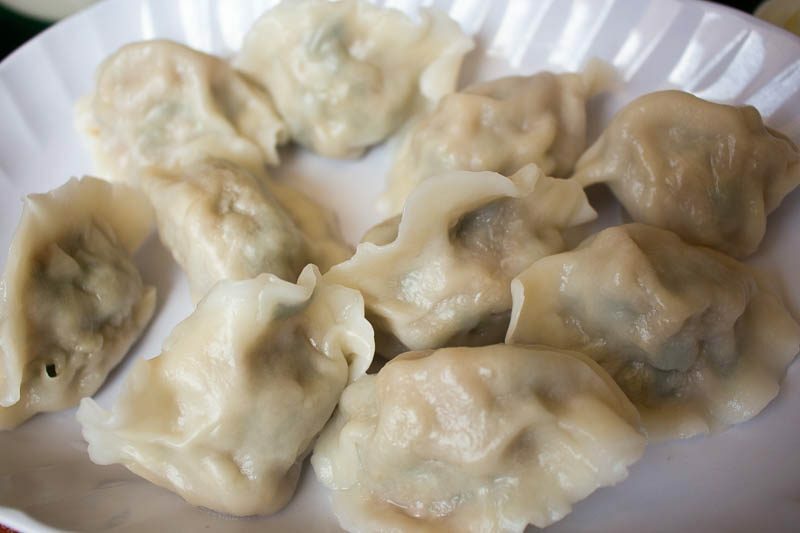 He hand-makes all the dumplings daily and only prepares them upon order. I ordered my usual favourites before deciding to get a few extra dishes to try out as well. My favourite of them all is the Szechuan Spicy Wantons (S$4.50 for 10). I am not kidding when I say this is the best I’ve had in Singapore. They are served with 10 pieces, so you really do get a bang for your buck. These w0ntons have a silky smooth skin, which was thin but just sufficient to encase the fresh prawn and pork filling. I really like the varying textures, from the velvety skin to the crunch of the prawns and a firm bite of the pork. The bright red sauce may look really intimidating at first, but don’t worry it’s not that potent. With a perfect ratio of chilli oil and vinegar, this further elevates the flavours of the delicious wontons. It is slightly more sour than spicy but nothing overwhelming, which makes them so appetising and addictive. It is actually surprisingly light on the stomach as well. I can definitely manage to have two servings in one go for a meal without feeling jelak. 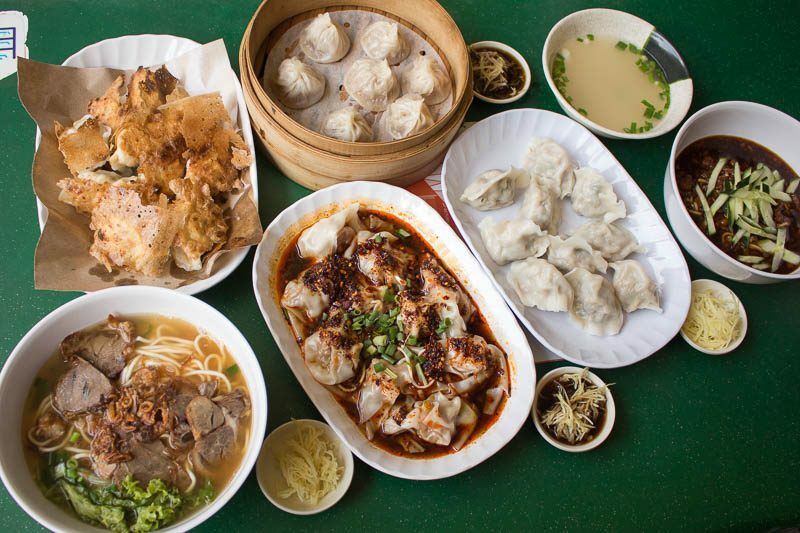 The second highlight would be the Pan-fried Dumplings (S$6 for 10). This is actually the most expensive item on the menu. However, I still think it is totally worth it the money. 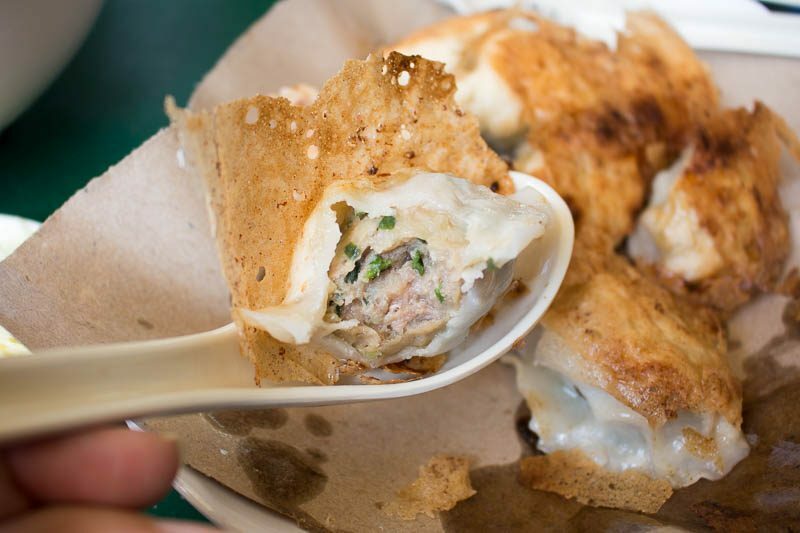 Unlike some places that fry the dumplings whole, they actually do it the right way. 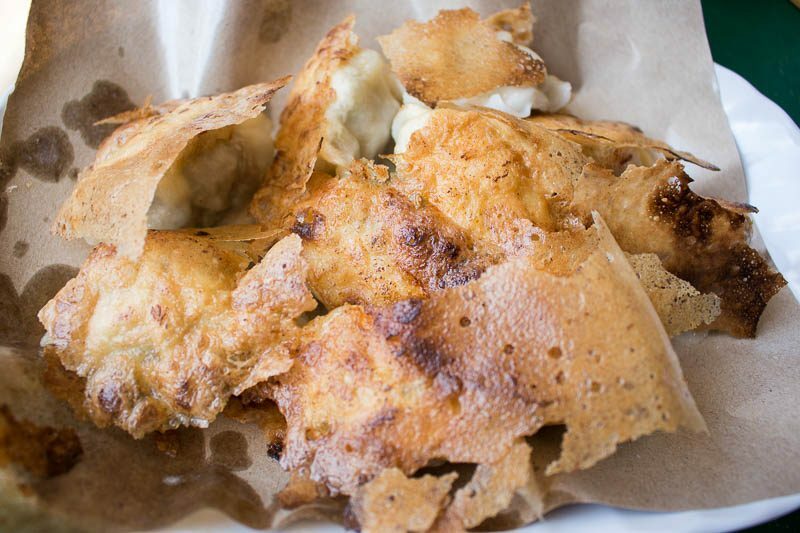 They are shallow-fried, where the base of the wok is filled with liquid. The wok is then covered as the dumplings are placed bottom down. This gives the yummy textural contrast between the crisp bottom and the chewy goodness on top. The plentiful pork and leek filling was both tender and juicy, which balances out the dry bottom. I also like the addition of the lattice coating, which gives an additional crunch to add greater dimension to this dish. We also got Dumplings (S$5 for 10), which are essentially the same as the former. However, these are boiled instead. A healthier choice, for those who are watching their waistlines. Even without being pan-fried, they are equally as delicious with the succulent filling within. However, I do think the extra dollar (and calories) are definitely worth it for a greater dumpling experience. A useful tip to note: the skin gets slightly flat in texture after being left out for a while. We also got their Steamed Mini Buns (S$4.50 for seven), otherwise known as xiao long bao. These come slightly smaller than the ones at the regular chain restaurants. But at its price point, there isn’t much to complain about. I think these are the cheapest xiao long bao’s I’ve ever come across. The translucent skin had a nice bite to it without being overly floury. While I prefer the meat in the dumplings, this didn’t fare badly. The minced pork was tasty enough. Its savoury tinge paired well with the slightly sweet soup within. 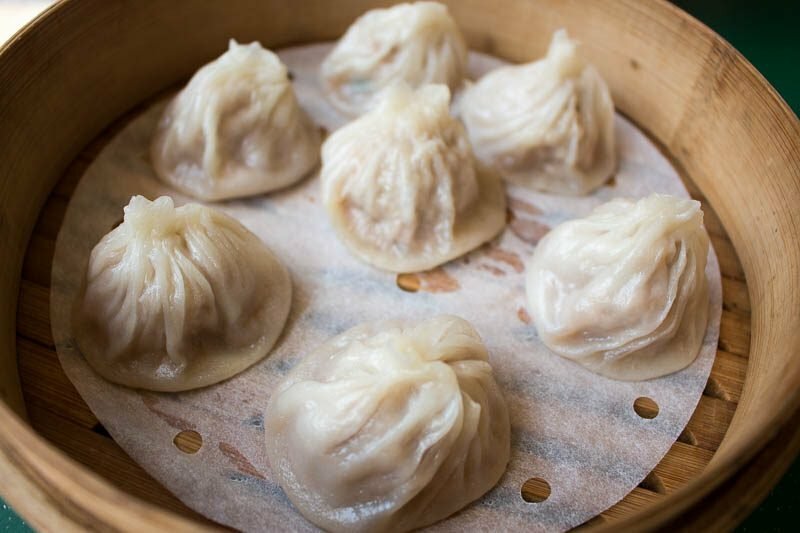 While I prefer a more piquant broth, this can still satisfy any xiao long bao craving easily. We decided to try out their noodle options for the first time, and I chose the La Mian With Fried Bean Sauce (S$3.50). 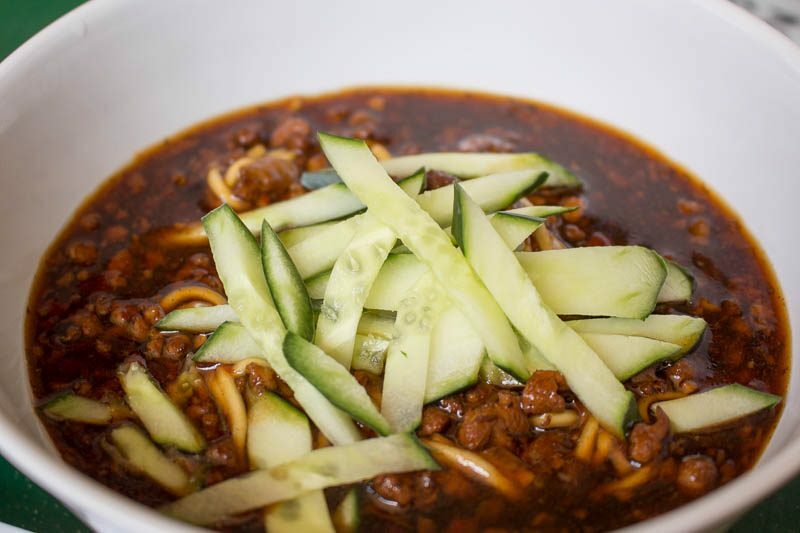 Zha jiang mian is a signature China dish, and I had high expectations for it. However, I must admit I was slightly disappointed. The sauce was not as fragrant as I would have liked, which mellowed the savouriness. The pork chunks were slightly too small to provide a nice bite too. Nonetheless, the consistency of the sauce was good and I liked the crunch from the fresh cucumbers. 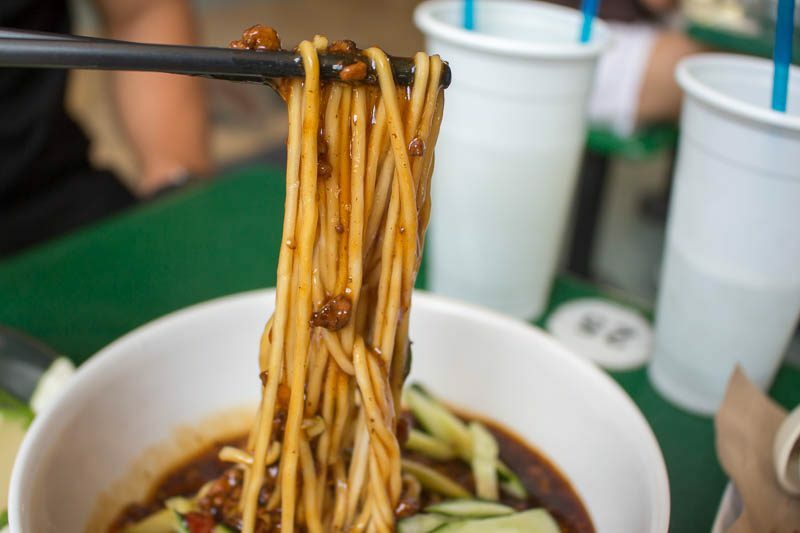 The noodles were also nicely cooked, chewy and held the sauce well. The portions are really generous, so I guess there wasn’t anything terribly poor to complain about. 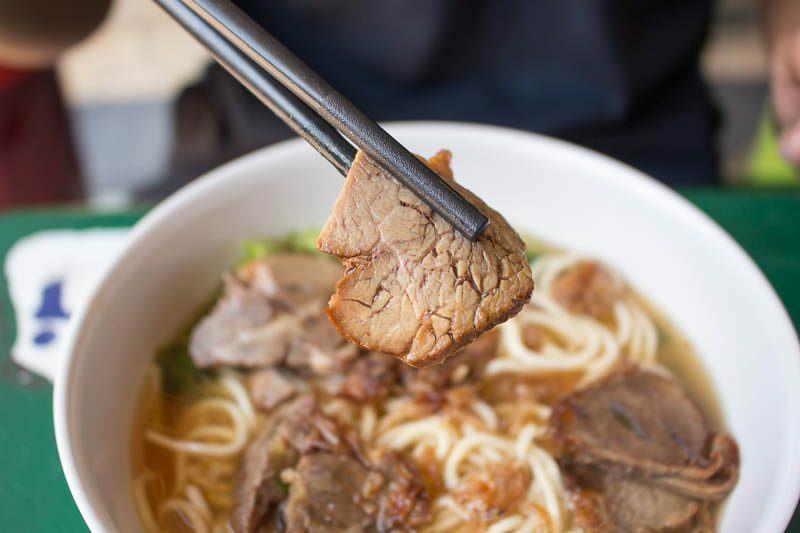 We also got the Beef Noodles Soup (S$4) as well. 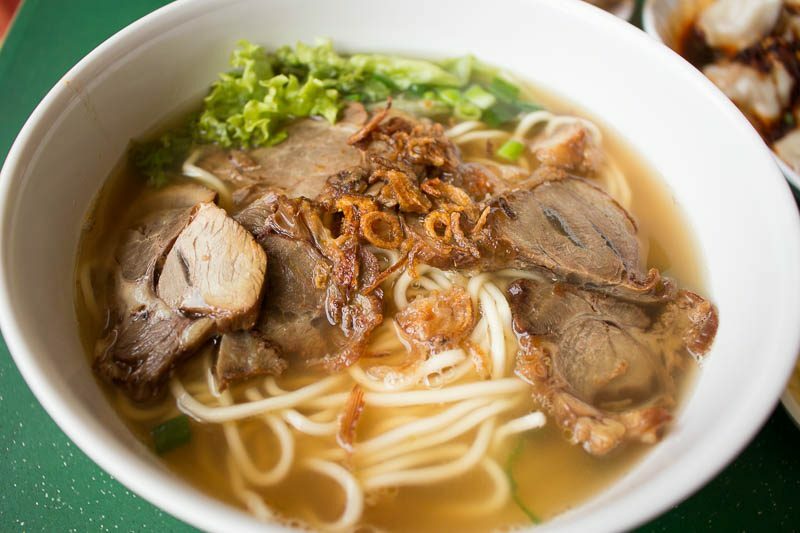 They are served with the same noodles, in a cloudy brown broth. At first glance, it looked really tasty. As I dived into it, sadly it did not meet my expectations. The broth was mild, which made the noodles rather plain. The saving grace was the beef slices, which were on the lean side but I liked it that way. They added texture and flavour to the noodles when eaten together in one bite. There were some hits and misses here today. 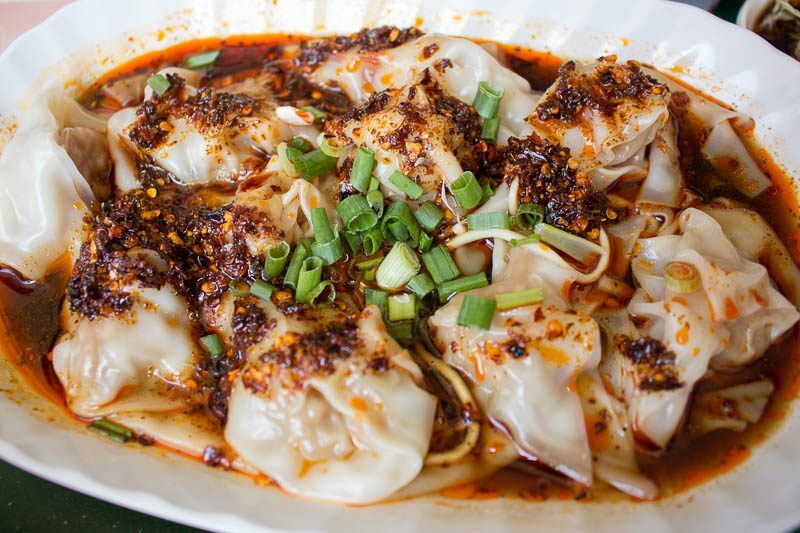 I love the Szechuan Spicy Wantons and Pan-fried Dumplings. Those are my absolute go-to and I will be back for them again. While the noodles are not my favourite, they are good if you want something lighter on the palate than the usual. They are still worth their price. Many others were ordering them, so it could be my personal preference. This may be controversial, but I prefer this to the infamous stall at Chinatown. If y’all happen to be in the area and try Ah Wang La Mian Xiao Long Bao, do let us know what’s your verdict!